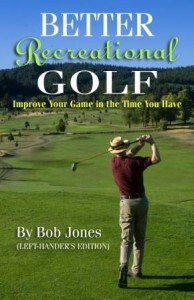 You probably know that the success of a shot is largely determined in your setup, before you even start the club back. One of the worst habits you can fall into is freezing after you address the ball. 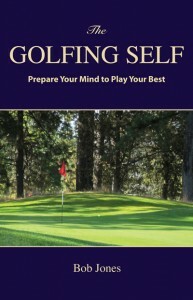 Have you played with the golfer who goes through a pre-shot routine, sets up to the ball, and just stands there? And stands there? And stands there? I’ll bet you’ve never seen a really good player do that. I don’t know what’s going on when some one freezes, probably a lot of mental stuff, but none of it is helping. The golf swing is an athletic act. 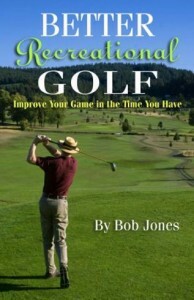 Like any athlete, a golfer must be moving as that act begins. Watch players in any other sport — baseball, football, what have you. If the rules allow, they’re all moving before they make their payoff move. Watch professional golfers get ready to hit the ball. Everyone of them has a series of movements they go through, then they touch the club on the ground and go, with no hesitation. If it looks like they stopped, they didn’t. It’s just that the movement is too small for you to see. Starting up from a dead stop is hard to do physically and still flow into a graceful, well-ordered swing. Mentally, you got primed to hit the shot, and standing there only gives you time for that feeling to fade away, leaving you with nothing. I’m not saying to rush, but find a pre-shot routine that contains come kind of movement that leads you right into your swing. I know you’ll be better off for it.